It's an all too common occurrence. Your squash plants looked fine yesterday. Today they’re wilting, and no amount of watering has helped. What happened? While there are any number of insects and diseases waiting to attack and feast on your squash plants, sudden wilting of squash plants is a sure sign of the squash vine borer. The squash vine borer is the larva of a black moth with orange-red markings. It has a wingspan of about 1 - 1 1/2 in. (25 to 37 mm). The moth lays its reddish-brown eggs on the squash leaves, often on the underside, where you can't see them. When the eggs hatch, the larva bores its way into the stem, usually in the lower 1 ft. of the stem. That's what causes the plant to wilt. It looks bad, but it does not have to be fatal. When the larva burrows into the stem of your squash plant, the injury can girdle the stem and prevent the plant from taking up any water or nutrients. This is what causes the plant to wilt, even though you may have recently watered it. If the wound in the stem is not closed, it can ultimately lead to the death of the plant. Multiple borers can often be found in one stem. 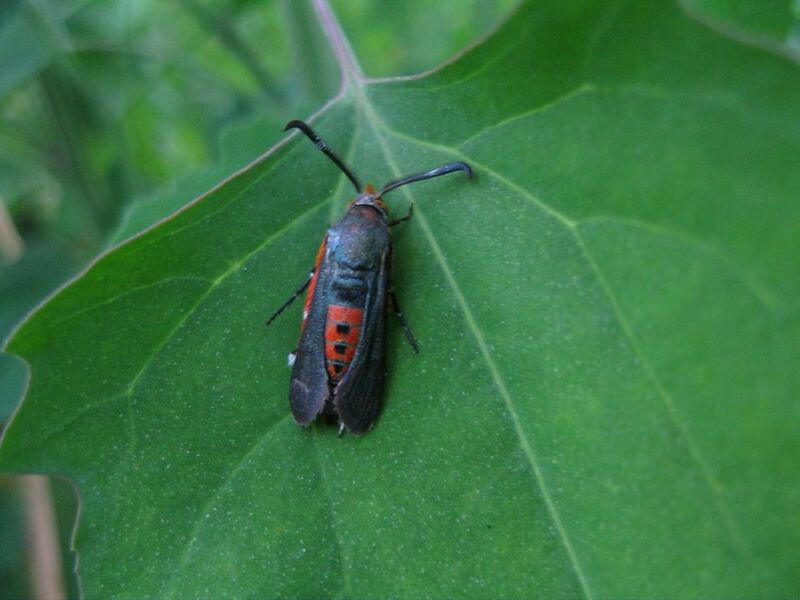 However, wilting is not the only sign that a squash vine borer has attacked your squash plant. You can often see the small hole and some frass that looks like sawdust around the base or lower stem of the plant, even before the plant begins to wilt. Don't wait until it does. Take action immediately. Squash vine borers can move from the vines to the soil, where they will overwinter their larval stage, in cocoons. So your first line of defense should be removing the spent vines immediately after harvesting. This will remove any borers that were lingering in the vines. It is also wise to till the area where they were growing in the garden, to bring any borers that have already made their way into the soil back up to the surface. The birds will take it from there, swooping down and making a feast of the larvae. Planting your squash later in the season can help you to avoid squash vine borer infestations. If you hold off planting until after Memorial Day, the borers will have resurfaced from the soil weeks earlier and, not having found any squash vines to burrow into, will have already moved on in search of a new food supply. In the spring garden, the first mode of defense should be to monitor for eggs. The eggs are small, but since they are a bright orange color, they are fairly easy to spot. If you can remove the eggs when they first appear, you will greatly cut down the population of squash borers in the garden that year and possibly in the future. Be sure to check the underside of leaves. The larvae usually bore into the stem where it meets the ground. Wrapping some foil around the stem in this area at planting time, before the borers are active, acts as a barrier. They will not bore through the foil. If you do see a vine wilting or notice a hole at the base, it's still possible to save the plant by making a vertical slit into the stem and removing the larvae by hand. The plant will heal. You can cover the wound with moist soil to promote more roots. And finally, you can pile some moist soil over the leaf joints near the in-ground stem. They will root, and the squash plant will continue growing from that section forward. So even if the stem is damaged, the plant won't die. All squash plants can be susceptible to squash vine borers, but some of their favorite hosts include Hubbard squash, all types of zucchini, pumpkins, and gourds. Squash vine borers don’t usually attack cucumbers and melons, but if you see the tell-tale sign, take a look at the base of the stems.